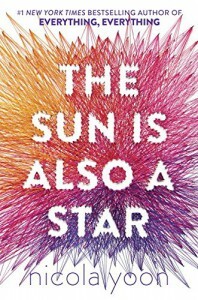 The Sun is Also a Star is the second novel by Nicola Yoon and I loved it every bit as much as the first. There was just something about this book that got to me. And, in retrospect, this is surprising, because a big part of it centers around something I usually hate. Instalove. Instalove that takes place in a span of 24 hours. But somehow, in this story and with these characters, it worked. Natasha and Daniel are two very different people. Natasha is wise beyond her years and highly intelligent. 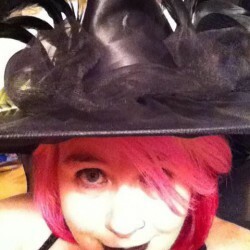 She's a practical soul that believes in science and facts, not love and fate. She's also an illegal immigrant that feels more at home in the US than in Jamaica, the country of her birth. And she is just hours from being deported when she meets Daniel. Daniel is the polar opposite to Natasha. He is just as wise for his years, but he believes in fate and destiny. He's a poet and has a dreamer's soul. But he is first generation American in a Korean family. And his family has very strict expectations for his future. It's a future he doesn't want, but until Natasha, it is the only one he thought he had. Yet the differences between them fall away over the course of a single day. But The Sun is Also a Star is more than a book about love, even first love. It's a book about family and choices and fate. It's about finding your own way in the world, your own place. Natasha is fighting to stay in the US, unhappy that she losing everything she loves and a future that is bright because of someone else's mistake. Her journey is about family and forgiveness, even acceptance. But Daniel's journey is different. His is about living his own life in his own way, despite his family. And meeting each other is a chance moment that changes both of them forever. On the surface, this book is a sweet romantic story. But it is also a book that makes you think. It makes you think about your own life and your own choices. The choices that led you to where you are right now and the choices still ahead of you. It makes you think about those random moments that can totally change the course of your life. It's about all the ways family can make a difference in your life, good or bad. Overall: This is a book that deserves to be taken at more than the surface. It is a book that deserves to be thought about, to be considered. I definitely recommend it!